The best way to discover the untold secrets of Crete this summer is by indulging in the Aria Hotels experience. The family-owned boutique hotel that includes a number of fully-equipped villas, offers holidaymakers authentic Greek hospitality at select destinations across Greece. Crete is Greece’s largest island boasting diverse landscapes and natural surroundings, ideal for the most demanding of tourists wishing to explore nature, indulge in its gastronomy, enjoy culture and swim in the cleanest blue waters of the Aegean Sea. Aria Hotels offers the finest hospitality and accommodation on Crete with seven unique properties (self-catering villas and boutique hotels) at leading destinations meeting the needs and preferences of the modern traveler. Aria Hotels is active in the Chania region. 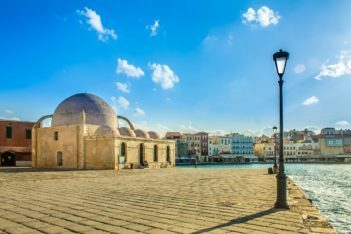 Chania is the second largest city of Crete and the capital of the regional unit making it an ideal base to explore excellent beaches, mountain villages and the hiking trails of Western Crete. It is located along the north coast of the island, some 70km (43 miles) west of Rethymno and 145km (90 miles) west of Heraklion. 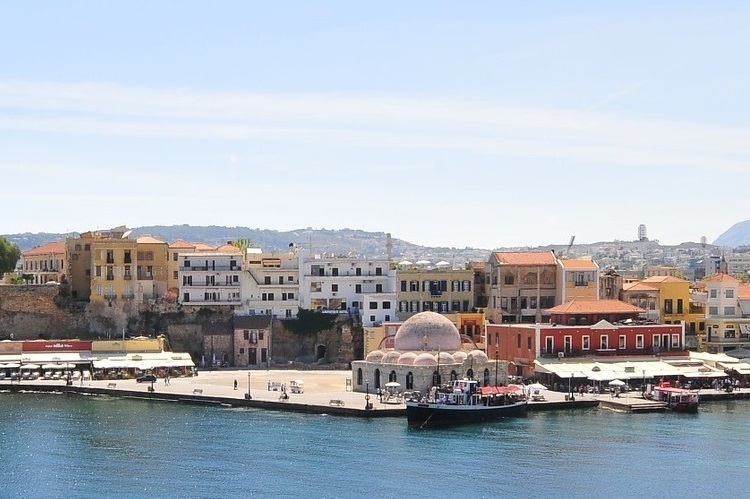 Chania is divided into two parts: the Old Town and the modern city. The Old Town is situated next to the old harbour and the heart of activity. It used to be surrounded by the old Venetian fortress dating back to 1538; only the eastern and western segment still stand. On the south, the Old Town connects with the modern city and on the north with the sea. Chania is known for its rich cultural life with annual events, music festivals and galleries. The Venetian port is wonderful opportunity for a romantic stroll and attracts thousands of visitors all year long thanks to its colorful seafront bars and restaurants. Neighborhoods outside the town walls still preserve the Venetian architectural style with narrow pathways flanked by elegant homes. 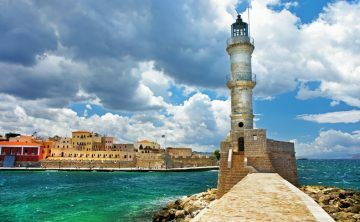 The Old Town of Chania and its Venetian harbor are considered the most beautiful locations on Crete. The Old Town and its Venetian walls have been hosted many civilizations throughout Crete’s rich history. The central part of the Old Town is named Kasteli and has been inhabited since Neolithic times. It is located on a small hill on the seafront and has always been the ideal place for a settlement due to its secure position, its location next to the harbor and its proximity to the fertile valley in the south. Nowadays, it is more peaceful compared to the neighboring areas on the west. The Splantzia Quarter is also largely untouched and very atmospheric. 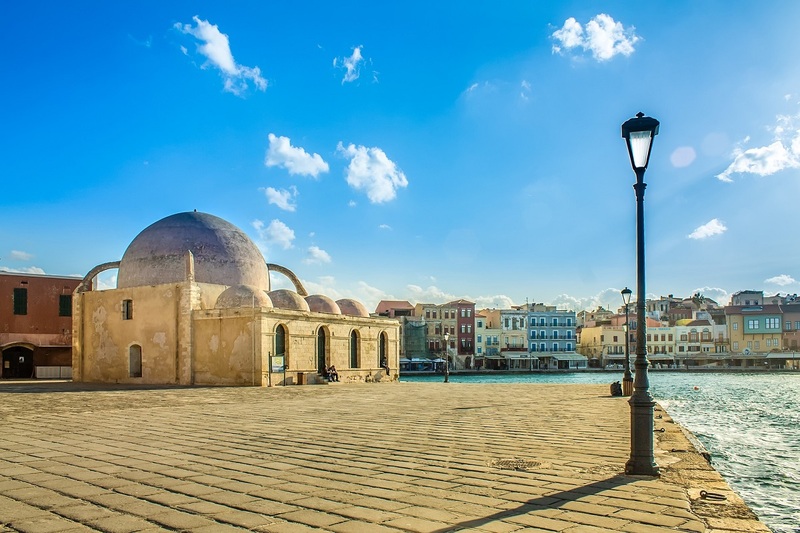 Chania has preserved its original colors and historical character over time. Venetian, Turkish and modern architectural style blend harmoniously to create a unique attraction for visitors. The town also features archaeological sites, temples, and numerous cultural attractions. 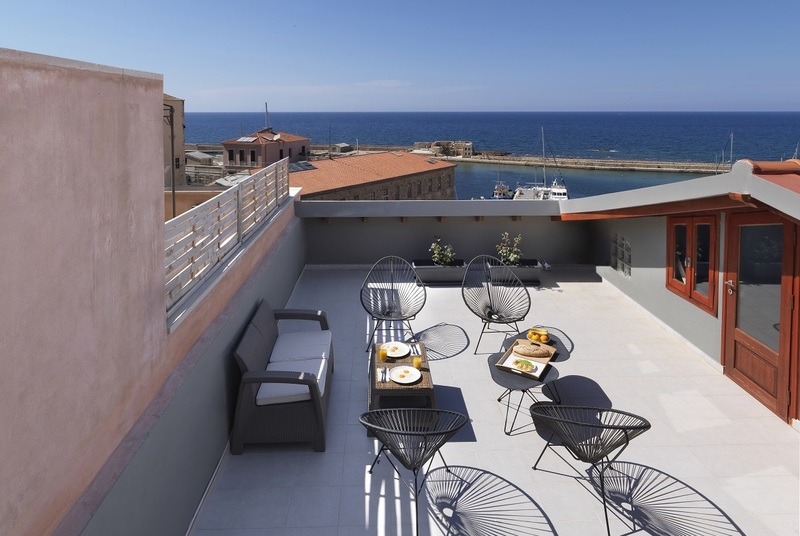 Aria Hotels’ Alcanea Boutique Hotel at the Old Port of Chania. 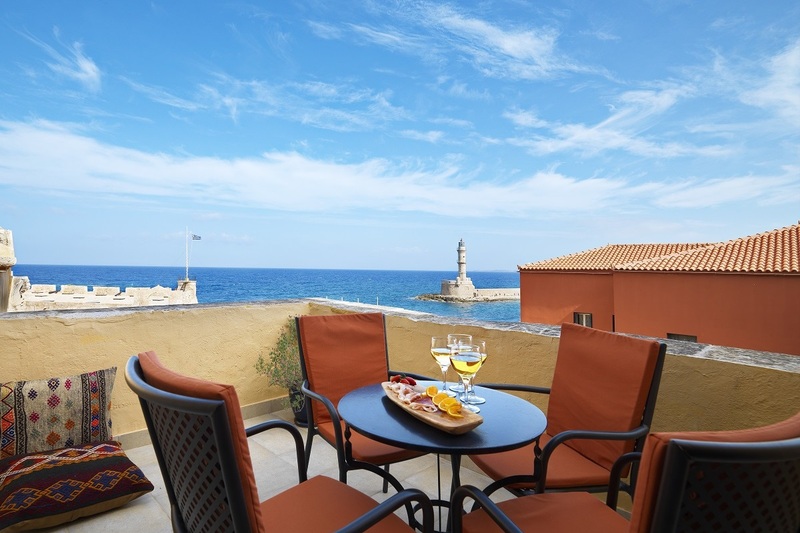 Situated in the most magical corner of the Old Town, right next to the Maritime Museum, Alcanea Boutique Hotel offers magnificent views to the Egyptian Lighthouse, the Venetian Harbour, the Firkas Fortress and the Old Town of Chania. The hotel comprises eight elegant rooms – all equipped with modern comforts. The building dates from the Venetian period and was the office of the Greek revolutionary and statesman, Eleftherios Venizelos, for 24 years. It was fully restored during spring 2011 with great sensitivity to the preservation and conservation of the building’s architectural heritage. The enchanting complex of terraces and patios, the well preserved hand-carved stone facades, and decorative elements all maintain a perfect balance between tradition and modern comforts. The hotel also features a Café & Wine Bar. 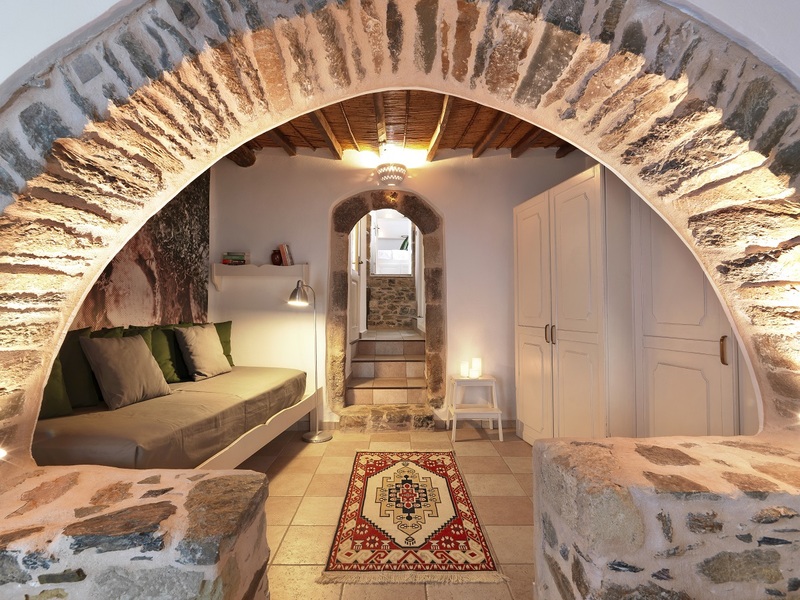 Designed for travelers who wish to experience the authentic spirit of an ancient town on Crete, in an environment that offers peace and tranquility, this intimate and exclusive two-storey residence has been renovated to the highest standards. 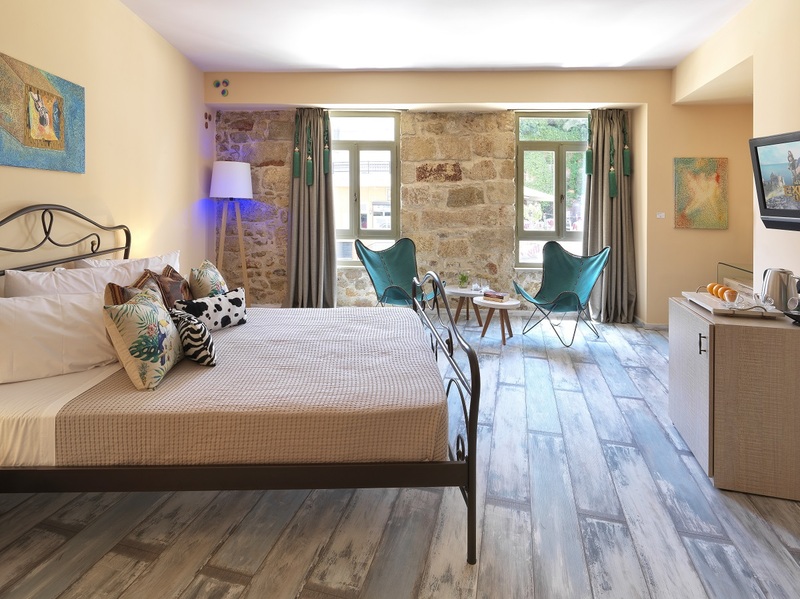 Located in the heart of Chania Town, Astraia Residence is situated where the Venetian monastery of Santa Maria dei Miracoli once stood, which was built by Marussa Mengano in 1615 for the Dominican nuns of Chania. 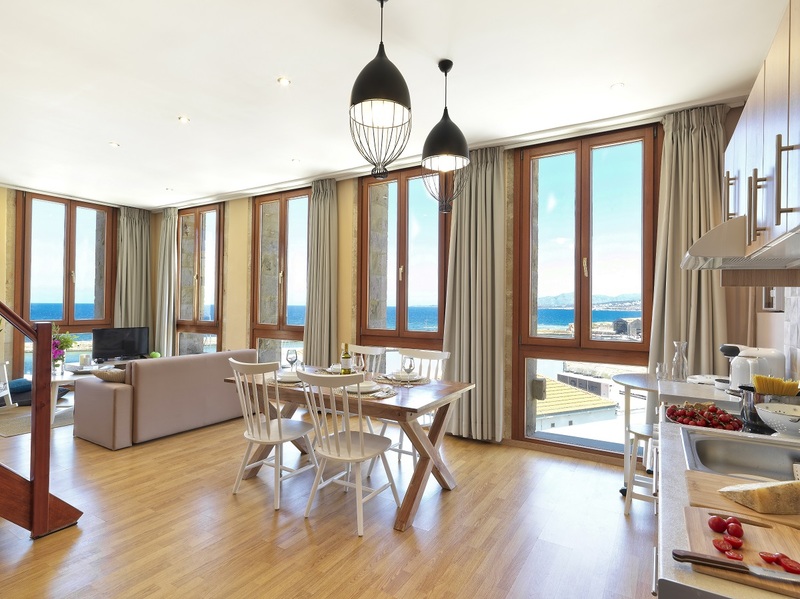 Within walking distance from the entertainment attractions and the major monuments of the ancient city of Chania, the Astraia Residence offers all modern comforts and facilities as well as magnificent views of the Old Port. Guest accommodation includes two bedrooms, a spacious living room, a fully equipped open space kitchen, two bathrooms with shower and a rooftop terrace.The Astraia Residence features is ideal for couples, families and groups of friends. 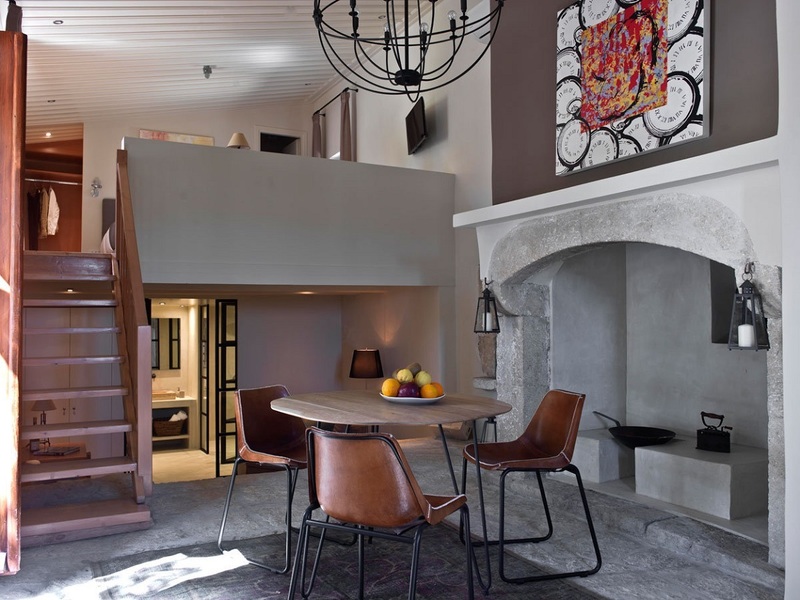 Fileas Art Hotel, a traditional three-storey building on Portou Frangiskou Street is the new addition to Aria Hotels situated in the Old Town. 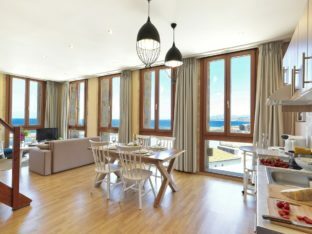 Fully renovated, it offers the latest in comforts with its friendly staff offering guests the finest Cretan hospitality full of warmth.The hotel features six spacious double rooms with special art touches, which combined with all the modern amenities guarantee a comfortable and enjoyable stay. 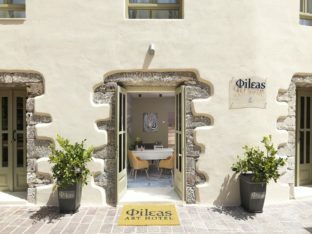 Fileas Art Hotel is located a few minutes away from the Old Port and is ideally suited for touring the city’s landmarks, monuments and attractions. Special Tip: When at the Old Port, don’t neglect to visit the Aria Concept Store (address: 7, Aggelou Street). 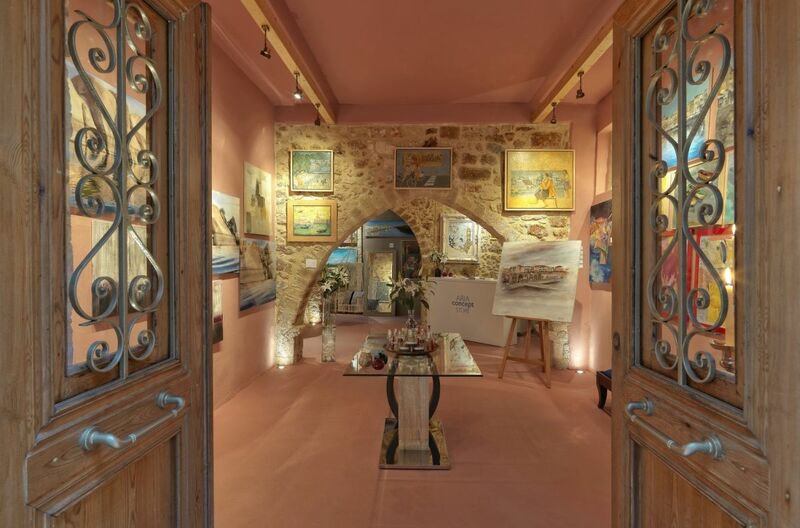 This unique art gallery displays contemporary artists both from Greece and abroad, who are inspired by the Greek tradition and influenced by the philosophy of Aria Art Buzz, a collaboration of Aria Hotels with Martix Fine Art Advisory Business. Most locals live and work in the modern neighborhoods of Chania. Despite it being less picturesque that the Old Town, it is still home to charming areas and sites of historical interest. The oldest district (early 18th century) is Nea Hora (meaning “New Town”) located beyond the west end of the Old Town. An expanding urban area, it also a very picturesque with narrow lanes leading to a small fishing harbor. To the east of the city is the district of Halepa, where the local aristocracy once lived. Some of the historical buildings of the area (including old embassies of foreign countries) were destroyed or abandoned during the later decades of the 20th century, and it was only recently that interest was shown for their restoration. The Apokoronas region – in a wide plain with rolling hills – extends from the foothills of the White Mountains north to the coast of the Chania region. 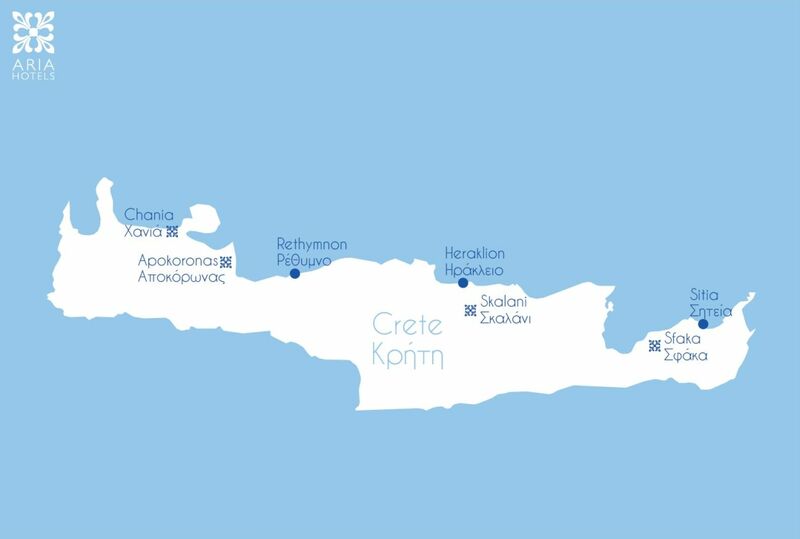 To the east, Cape Drapanon rises above the plain and extends out to the Sea of Crete. The area is lush and fertile, compared to the rocky side of Crete. The Kiliaris River, known in antiquity as ‘Pyknos’, runs through the region. The major towns of Apokoronas are Vamos, Armenoi and Vryses, with police, municipal and utility offices as well as taverns and large churches. Kalyves, Almyrida and Georgioupoli are the largest beach locations. The world-famed film Zorba the Greek was shot in Apokoronas. You can find Aria Hotels in the village of Gavalohori (Agios Pavlos) in Apokoronas area, brimming with history, tradition and natural beauty. Agios Pavlos is a picturesque settlement in the center of the Apokoronas Peninsula, near the villages of Vamos and Douliana. Although a rural village, Gavalochori has fine amenities for visitors, including taverns, cafes, a bakery, a mini market, and a number of shops. The village is in close proximity to the magnificent beach of Almyrida as well as to other sandy beaches. The surrounding area of Agios Pavlos is equally interesting with wonderful natural offerings. Gavalochori is ideal for unforgettable walks along the surrounding footpaths, amid scenic olive groves, carob tress and herbs, while the region’s historical monuments promise to satisfy the most demanding traveler. Athermigo is a period villa in the picturesque village of Gavalochori outside the historic town of Chania. The fully-serviced villa can be rented as a whole to accommodate parties of up to ten people or as individual self-contained cottages, each sleeping between two and four people. 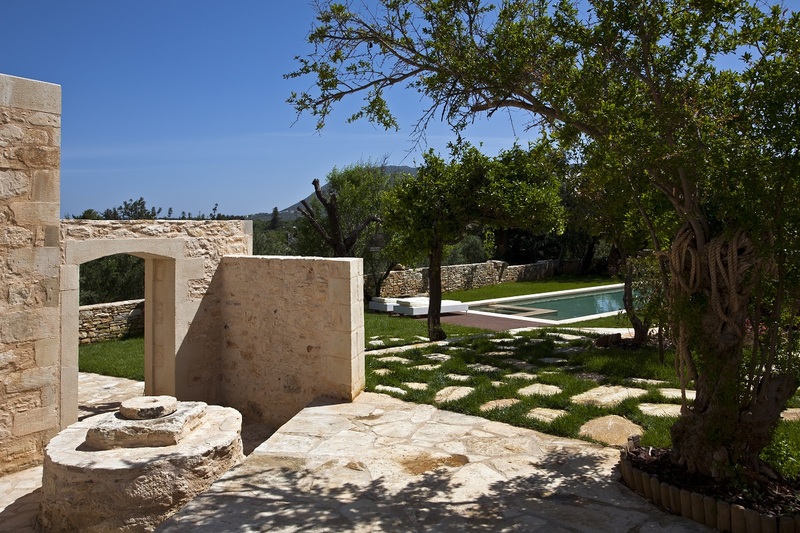 A 250 year-old olive oil press has also been recently restored to create an elegant boutique-style villa that combines discreet rural chic with all the amenities that holidaymakers expect. Guests in all three accommodation units share a luxurious lounge and kitchen as well as the courtyard and garden with its secluded private swimming pool. The name “Athermigo” derives from the traditional olive pressing process that is typical of the locality. The three deluxe accommodation units are named after the trees on the property: Elia Cottage (Olive tree), Rodia Cottage (Pomegranate tree) and Karydia Cottage (Walnut tree). 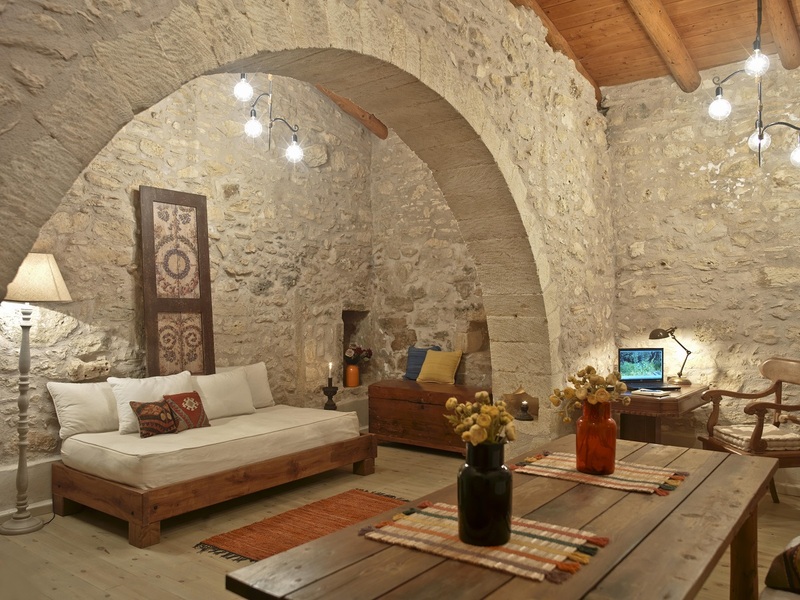 Critamo Cottage is a 300-year old Cretan house, located in the remote Gavalochori village of Agios Pavlos, near Chania. This fully-serviced cottage can accommodate up to five people and consists of two bedrooms, a seating area, kitchen with stove and oven, and bathroom with shower. Its sister property, the Villa Athermigo, is in close distance and could be combined in one stay for larger groups looking to holiday together. 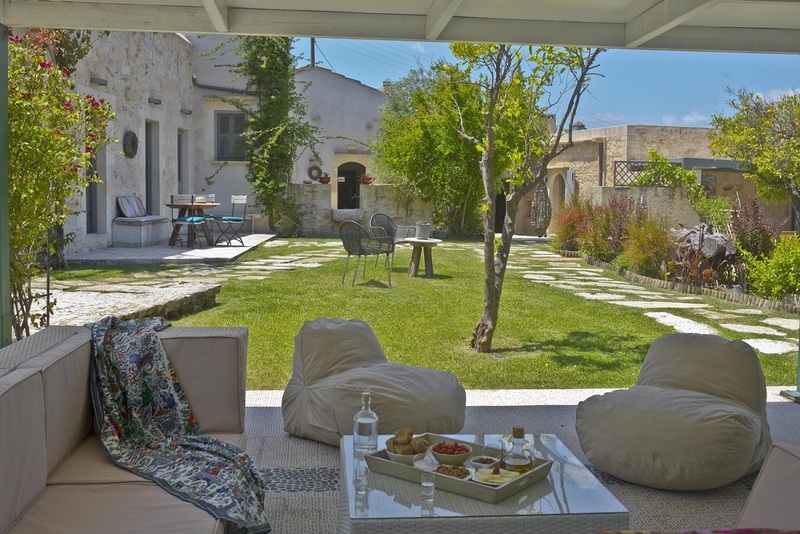 Both Villa Athermigo as well as Critamo Cottage are an ideal base for exploring the Apokoronas area, the historic town of Chania and Rethymno. Aiming to meet the demands of travelers visiting the other side of Crete, Aria Hotels offers excellent accommodation services at its two facilities in Heraklion and Lassithi. Heraklion is the largest city and the capital of the island. 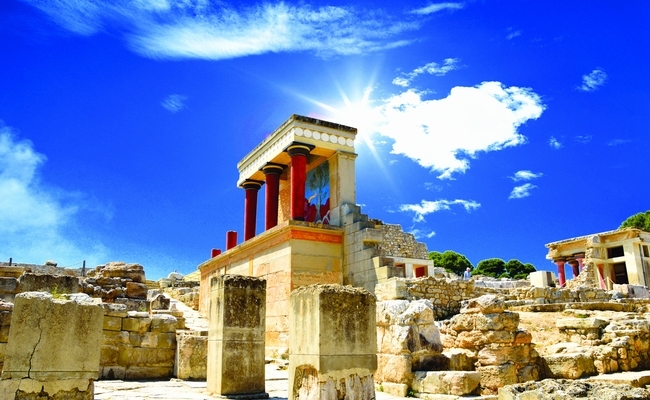 It is near the Bronze Age Palace of Knossos, also known as the Palace of Minos, the archaeological site was the center of Minoan civilization. 6. Scalani Hills Residences on the estate of the Boutari Winery is located in the Archanes wine region, a short drive from Heraklion airport, port (approx. 10 km) and Knossos (approx. 4 km away). The luxury residences offer a unique experience combining classical antiquity and viticulture for a truly exclusive getaway, winery tour or celebration. Located at the eastern side of Crete, Lassithi is famous for its traditional mountain villages, beautiful landscapes and untouched natural habitat. It is also home to some of the island’s most popular resorts including Elounda, Sissi, Sitia and Ierapetra. Lassithi’s best beach by far is Vai with its palm tree forest and crystal clear waters. The charming villages in the Lassithi Plateau are also worth visiting offering visitors a taste of local customs and a calm pace of life. A drive in the region promises many interesting ancient sites and medieval castles, including the Minoan Palace of Zakros and the famous islet of Spinalonga. 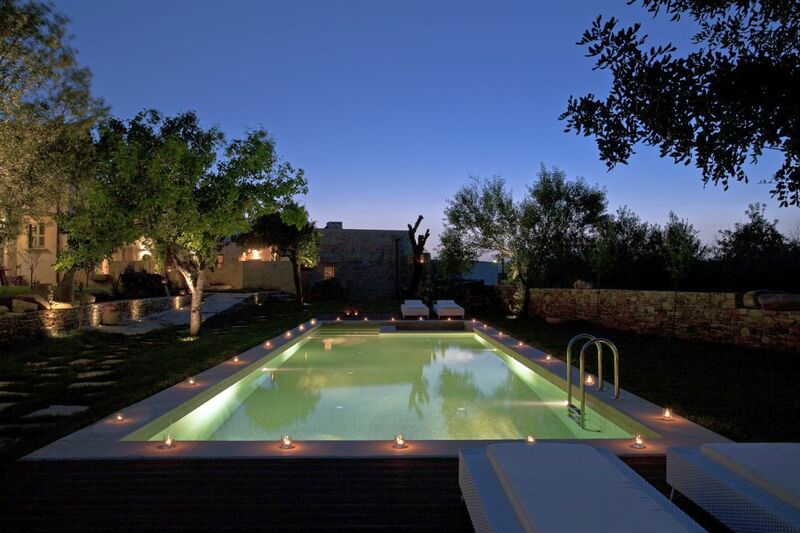 Just a few kilometers from Sitia, this amazing complex consists of 15 individual suites, vintage houses and traditional rooms, which were in the 1800s part of an old village, now complete with courtyard, swimming pool, spa center, restaurant and bar. Cressa Ghitonia Village is ideal for exclusive private events, celebration or wedding ceremonies overlooking the Aegean Sea. Aiming to appeal to the discerning traveler seeking a secret getaway destination in Greece, Aria Hotels offers the finest accommodation at its series of properties and collection of island villas, all located in exceptional destinations: Athens (Plaka, Syntagma), Crete (Old Town – Chania, Apokoronas – Chania, Heraklion, and Lassithi), the Cyclades islands (Kimolos, Serifos, Milos, and Santorini) and Epirus (Zagori), and soon in the Peloponnese (Kardamyli). Aria Hotels philosophy is based on three principles: love and respect for the environment, an appreciation of culture, and an interest in exploring the role of individuals within contemporary society. This said, every hotel and villa has been selected based on its architectural merit and its contribution to the preservation of local heritage. At the top of the group’s priorities is to offer outstanding quality in service and accommodation to complete the Aria Hotels experience. Discover Crete... Greece... with Aria Hotels!